Minneapolis has been LIT over the past 10 days. I don't think I ever remember so many people flocking to our city all at once. Celebrities have been spotted all over the Mall of America. 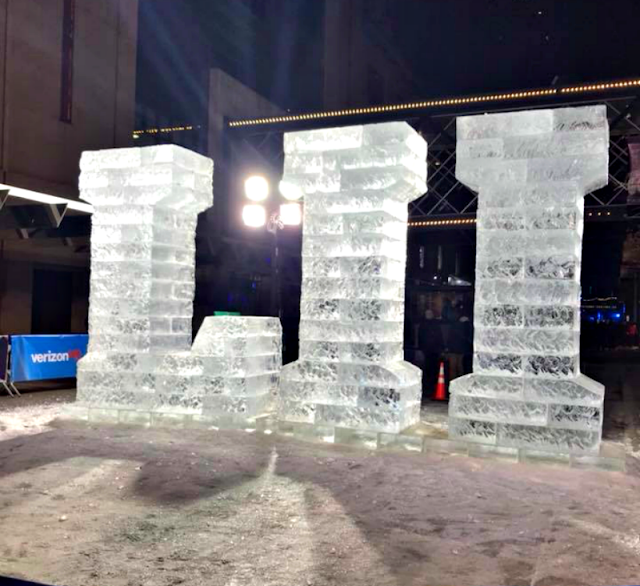 Die-hard Minnesotans and visitors brave the cold temperatures to head downtown Minneapolis for the Super Bowl Experience and free events at Super Bowl Live. Everyone who is anyone was in Minneapolis this past weekend. All the news channels including ESPN was set up in our IDS building. Unfortunately, I didn't get to go too many places because my daughter broke her leg and I ended up having to help her quite a bit. I also came down with an extremely stiff neck that prevented me from going out and enjoying all the super bowl events. Thankfully, I did get to do a few things and I captured some of them here. 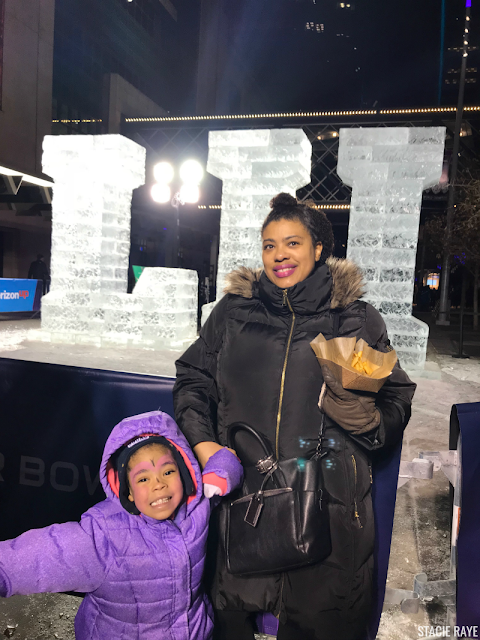 My granddaughter and I hanging out at Super Bowl Live in front of the Super Bowl 52 ice sculpture. It was a balmy 32 that day so temps weren't that bad. 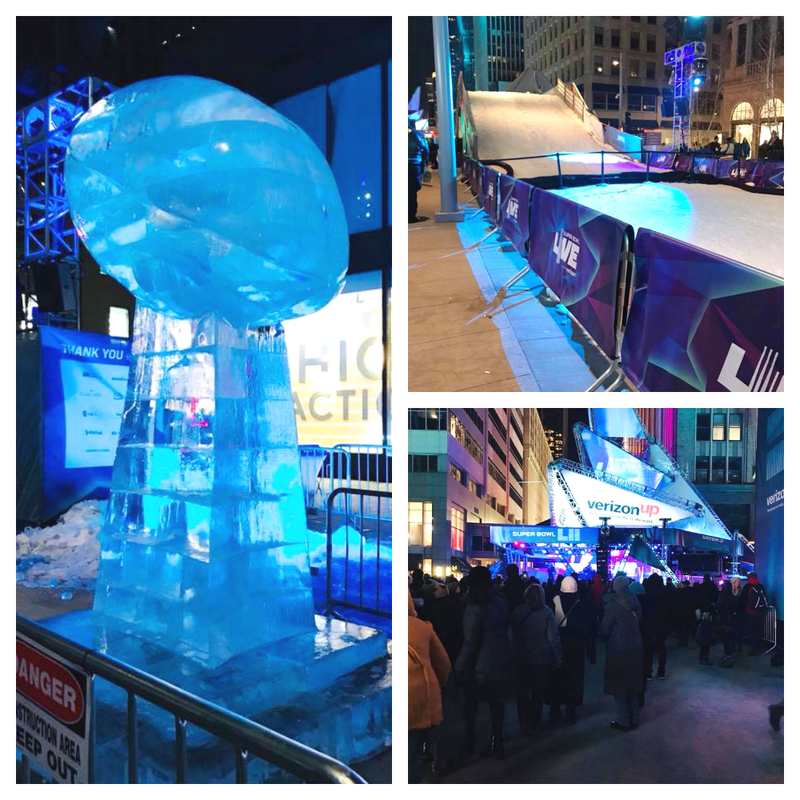 There were plenty of cool things to at Super Bowl Live including NFL ice cultures, the Berkley Bridge built right over her Nicolette Mall, and the hot spot, the Verizon stage where Twin Cities own groups like Morris Day and the Time, Sheila E, and the New Power Generation performed. Many other local and national groups also performed. We had a ton of fun and it was all free. But what it was time to go when I saw two police dogs sniffing out a backpack that had been left in the corner. I'm sure it was nothing but I wasn't playing any games and I hightailed it right out of there! 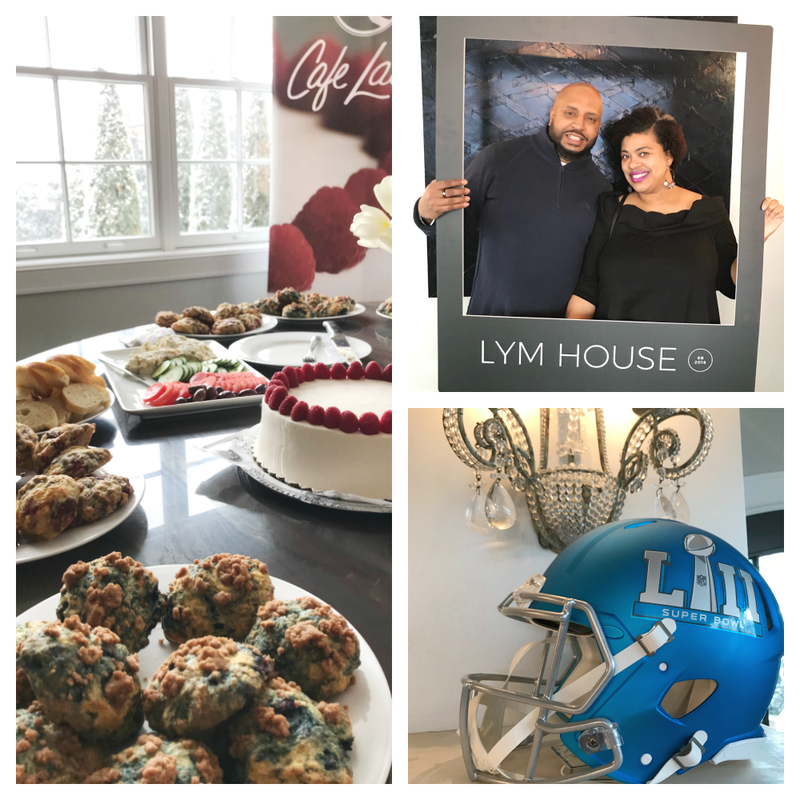 On Saturday, The hubby and I attended the LYM House brunch that featured foods from Café Latte. This mansion is tucked away in the Lowery Hills area. Cafe Latte is one of my favorite places to eat so I knew I would be attending this super bowl party for sure. 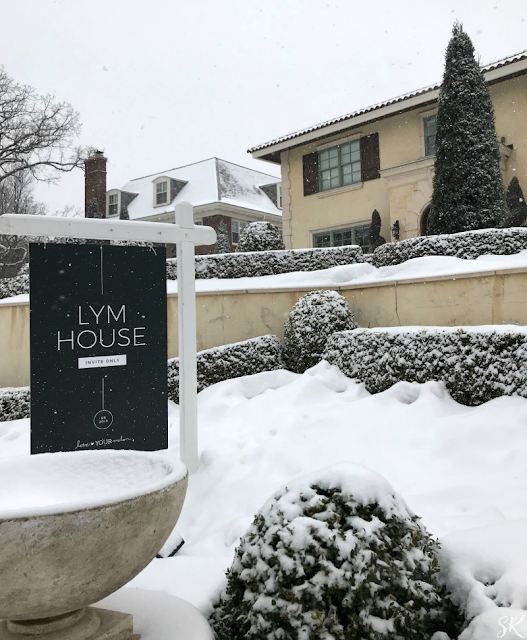 The folks at Love Your Melon put on a great super bowl brunch and it was fun just relaxing in their beautiful home. This was just a glimpse of what I did during the Minneapolis Super Bowl festivities. I missed so much but was glad to participate in a few things. Has the Super Bowl ever come to your town? Sorry to hear your daughter broke her leg and you ended up with a stiff neck! It’s great you spent quality time with your grandbaby though! Things got really destructive, really fast over here in Philly post game! Was pure madness but I’m happy the Eagles 🦅 won!!! Sorry to hear your daughter broke her leg hope she has a speedy recovery. The Superbowl sounds like a great time with a lot of things to do. Oh no! I hope you and your daughter are recovering well. What an eventful superbowl weekend!I'm from philly so GO EAGLES!!! The Dom Perignon events sounds like my type of event. We’ve never had the Super Bowl here in the DC area but if we did. I would be all over it. 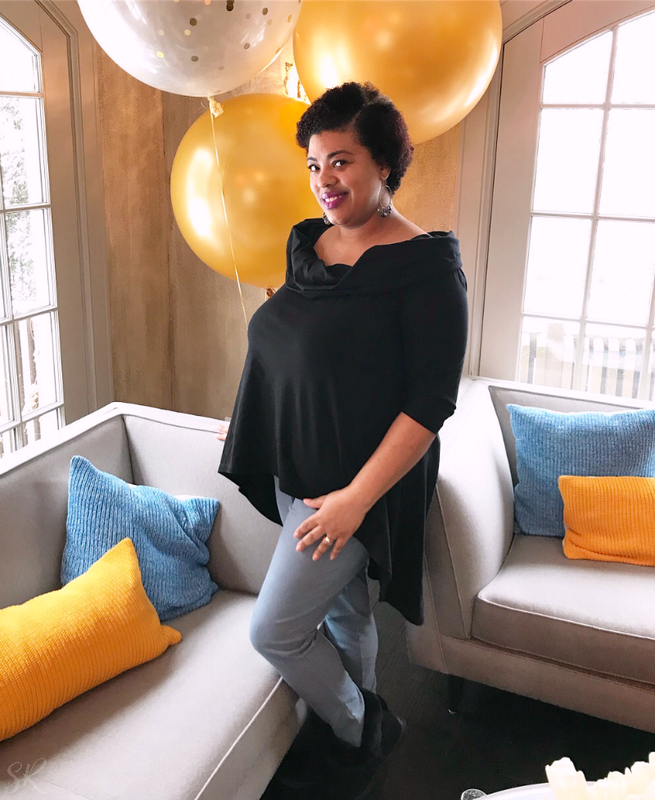 Looks like you enjoyed yourself for the couple of events you made it out to! That's so cool that it was in your city! Hope your daughter has a speedy recovery! Wow! I'd love to attend a Dom Perignon event. As far as I know the Super Bowl has never been to DC. This past super bowl I was in Philly and it was all the way lit. The Superbowl is coming to Atlanta next year and already the city is gearing up. I can't wait to see how everything turns out. I hope there are similar festivities for families to enjoy! Looks like you had a great time. My son was into the game and the preshow etc. I was in for the food. LOL. The SUperbowl will be in Atlanta next year! I cant wait that is going to be one of the most exciting things since the Olympics came in 1996. The Superbowl came to Atlanta while I was in college and a lot of people were excited about seeing lots of celebrities at the mall. Now that I'm back in Arkansas, there aren't many big events held in Little Rock. However, I like living near a smaller city. The traffic that major events bring is no fun to me. Super Bowl will be here in Atlanta next year, and Atlanta is starting to get ready for it. Me, I'm not ready for the crazy traffic. I may stop by for all the festivities though.